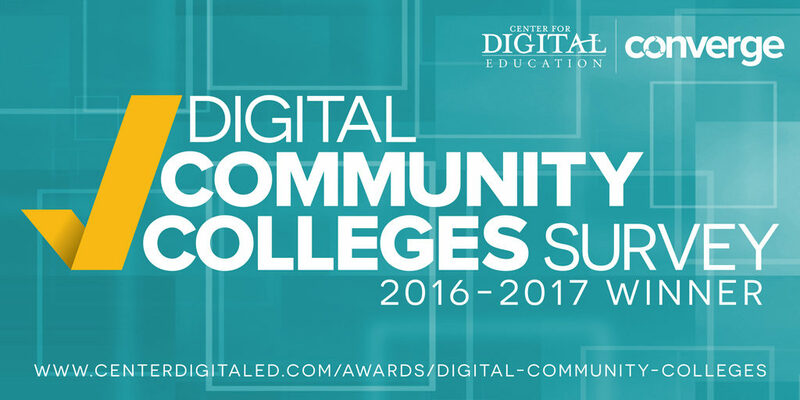 Central Maine Community College is among the top-ten winners in the 2016-17 Digital Community Colleges Survey conducted by The Center for Digital Education (CDE). Now in its twelfth year, this survey analyzes how community colleges use a range of technologies to improve services to students, faculty, staff, and the community at large. CMCC placed eighth nationally in the small college category and was the only institution in Maine and one of only two in New England to be selected. “This year’s survey indicates community colleges are continuing to improve efforts at creating cost-effective platforms and open-education resources, mobile environments, real-time resources, telepresence robots and more to create robust online and mobile environments for their students,” said Dr. Kecia Ray, executive director for the Center for Digital Education. The survey also revealed insights about community colleges’ technology priorities. Colleges surveyed indicated that mobility devices/app support is their top priority in the coming year. Other priorities include website redesign/updates; cybersecurity tools and testing; and how to integrate technology into curriculum and instructional practices. As opposed to confining learning and educational experiences to a classroom or library, research shows that the successful implementation of digital technology services allows students to experience both independent and cooperative learning advantages. “We are pleased to be recognized nationally for the exceptional technology support we provide to our students, instructors, and staff,” said President Scott Knapp. “Digital technology is now closely tied with a student’s learning process and experiences. A college with a sound digital technology infrastructure is better equipped to train students for the high-tech jobs of today and tomorrow,” the president added. The Center for Digital Education (CDE) is a national research and advisory institute specializing in K-12 and higher education technology trends, policy, and funding. CDE provides education and industry leaders with decision support and actionable insights to help effectively incorporate new technologies in the 21st century. Learn more at www.centerdigitaled.com.